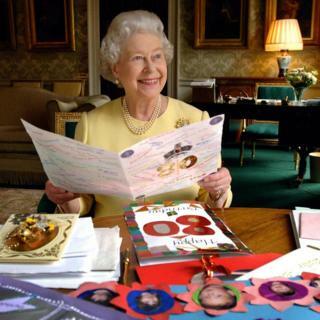 On Saturday 9 June, the Queen will officially be marking her 92nd birthday. Her actual birthday was on 21 April, so technically she has already turned 92, but this is her official, public one. She's the Queen so she gets to have two birthdays, of course! This celebration will include a special parade called Trooping the Colour, which has marked the official birthday of the British monarch for over 260 years. So what better way to mark her birthday than to take a look back at her life... through 92 facts. 1. Queen Elizabeth II was born at 17 Bruton Street in London on the 21 April 1926. 2. Her parents were the Prince Albert, Duke of York (who later took his father's name when he became King George VI) and his wife, Lady Elizabeth Bowes-Lyon. 3. Her full name is Elizabeth Alexandra Mary Windsor. 4. She spent her first few years living in an area of London called Piccadilly with her family. 5. Her grandfather - King George V - was the king (from 1910 to 1936). 6. 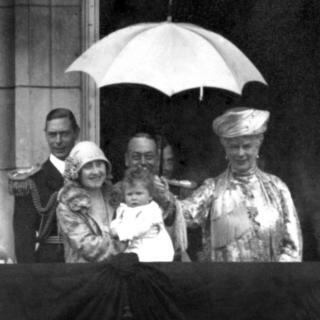 She was christened on the 29 May 1926 in the private chapel at Buckingham Palace. 7. Her family called her Lilibet when she was young. 8. Her cousin Margaret Rhodes said she was "a jolly little girl, but fundamentally sensible and well behaved". 9. She loved horses from a very young age and was given a pony for her 4th birthday. 10. 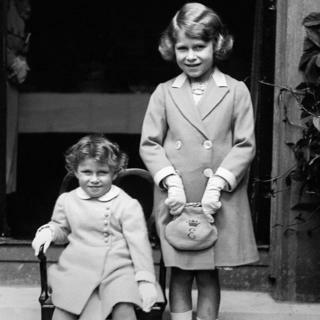 In 1930, her little sister was born - Princess Margaret Rose. 11. The two young girls enjoyed stories and playing games with their parents. 12. They also enjoyed playing the piano and dressing up for plays. 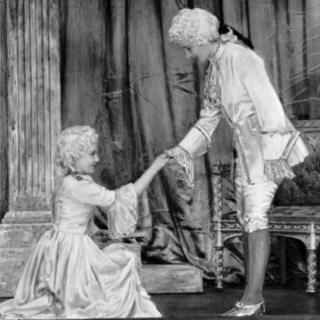 Here are the princesses (Elizabeth is on the right) performing the pantomime Cinderella, with Princess Elizabeth playing Prince Charming! 13. The princesses didn't go school. They learnt at home with a special teacher, called a governess, Marion Crawford ('Crawfie'), as well as other teachers. 14. In 1934 at the age of 8, Princess Elizabeth met Philip Mountbatten - Prince Philip of Greece and Denmark - at a wedding. He would later become her husband! 15. Many people might not realise that Elizabeth was never meant to be first in line to be Queen, which is why she did not live at Buckingham Palace as a girl. 16. When her grandfather King George V died in January 1936, his first son Edward - Elizabeth's uncle - was meant to become king. 17. Edward stepped down from the job before he was even crowned though, passing the responsibility of becoming king to his younger brother Albert - Elizabeth and Margaret's father. Him doing this meant that Elizabeth was now first in line to the throne. 18. Albert adopted his father's name, the family moved to Buckingham Palace and on 12 May 1937, George VI was crowned in Westminster Abbey. 19. When World War Two broke out in September 1939, many children were evacuated to safety, but the royal family decided not to send the girls to another country. 20. 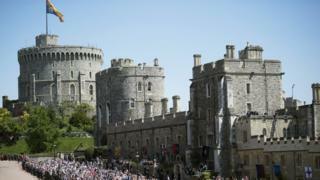 Instead the princesses spent most of the war years at Windsor Castle near London. "We went for a weekend and stayed five years," they said. 21. The windows of the castle were blocked with sandbags, the lights were made dimmer and lots of the art was moved. 22. Meanwhile, their parents stayed at Buckingham Palace - something they'd promised the country they'd do. 23. This meant that Princess Elizabeth spent a lot of her important years of growing up keeping safe inside the walls of Winsor Castle. She was 13 years old when war broke out and 19 when it ended. 24. During the blitz of 1940-41, Buckingham Palace was hit by bombs. 25. It is reported that the princesses' mother even learned to use a weapon in case the enemy tried to kidnap her, rather than leave the country for safety. 26. 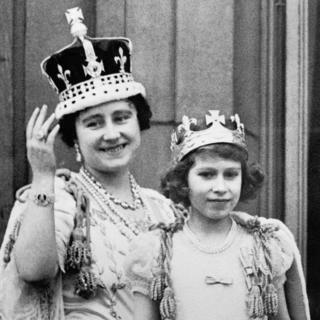 Through these years, Elizabeth really started to get ready for the royal duties that would come her way later in life. 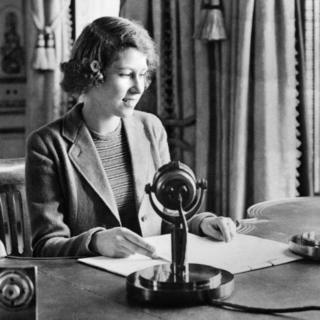 In 1940, she gave her first speech on the radio at the age of just 14. 27. In it, she sent her best wishes to children who had been evacuated from Britain to keep them safe from the conflict. 28. When the war ended, crowds gathered outside Buckingham Palace to celebrate and Princess Elizabeth and Princess Margaret were allowed to go out and join them in secret, blending in with the public. It is said that Elizabeth was worried about being recognised, but later said it was one of the most memorable nights of her life. 29. In 1945, she learnt how to drive. Now, Queen Elizabeth II is the only person who is actually allowed to drive without a driving licence! 30. 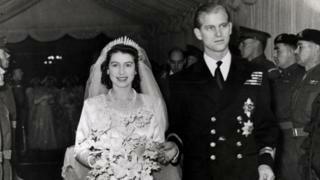 Once Elizabeth turned 21, her engagement to the Duke of Edinburgh was officially announced and they got married on November 20 1947 in Westminster Abbey. 31. She wore a dress that she'd paid for with ration tokens, which were vouchers used for buying things after the war. 32. The couple received more than 2,500 wedding presents from all over the world and 10,000 telegrams of congratulations. 33. In the early 1950s, the King's health was not good. When Elizabeth was just 25, her father King George VI passed away, and her life would change forever. 34. Elizabeth was on a trip in Africa at the time and it is reported that her secretary had been carrying around the necessary paperwork in case this happened. 35. She travelled straight back to London to take up her royal duties. 25 year old Elizabeth ascended the throne on the 6 February 1952 and her coronation took place 16 months later on 2 June 1953 in Westminster Abbey. 36. 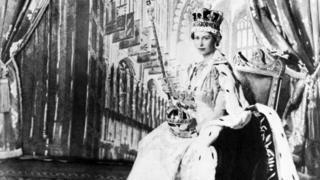 Every coronation since 1066 has taken place at Westminster Abbey and Queen Elizabeth II became the 39th sovereign to be crowned there. 37. The service lasted almost three hours and 8,251 guests attended. 38. 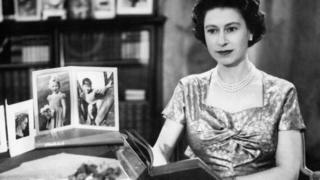 The coronation made television history, as it was the first ever to be on TV. A massive 27 million people in the UK alone tuned in to watch this important occasion. 39. The Queen's coronation dress was created by a British fashion designer called Norman Hartnell. It was made of white satin and embroidered with the symbols of the UK and the Commonwealth in gold and silver thread. She has worn the dress six times since her coronation. 40. 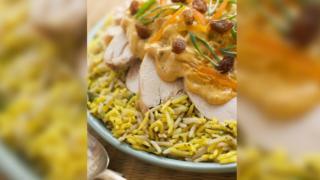 And as for the food - well, have you ever enjoyed coronation chicken? This dish was actually created for the Queen's coronation, to serve to foreign guests. 41. The woman who came up with the dish - Constance Spry - wasn't even a chef, she was actually a florist! 42. The Queen is now the longest serving UK monarch, having reigned for a massive 66 years. 43. She is also the oldest monarch. The previous holder of this record was Queen Victoria (Elizabeth's great-great grandmother), but she died when she was 81. 44. 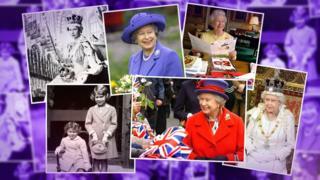 Not only that (yes, she has even more records), but the Queen is the longest reigning female monarch in world history. Not bad, eh? 45. Queen Elizabeth II holds many different titles, including Head of State, Head of the Nation, Head of the Commonwealth, Head of the Armed Forces, and Defender of the Faith and Supreme Governor of the Church of England - and that's just to name a few! 46. As Head of State, she has to remain completely neutral, which means you won't hear her give an opinion about anything political. Do you like coronation chicken? Well, you have the Queen to thank for that! 47. She is also not allowed to vote or stand for election, so we won't be seeing her Majesty as prime minister any time soon! 48. 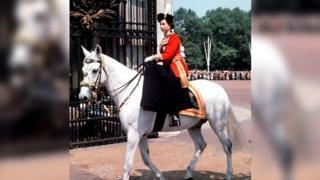 Throughout her reign, she has carried out royal engagements all over the world. In fact, she has travelled more than any other monarch has in the past, visiting 116 countries. 49. Her first tour of the Commonwealth started on 24 November 1953. She visited Canada, Bermuda, Jamaica, Panama, Fiji, Tonga, New Zealand, Australia, the Cocos Islands, Ceylon, Aden, Uganda, Libya, Malta and Gibraltar, covering a massive distance of 43,618 miles. 50. The Queen is credited with inventing the royal 'walkabout', where she meets local people in the places that she visits. This 'walkabout' has now become a very popular royal tradition. 51. While carrying out her duties, she is often given presents. These have included many horses, but some gifts are a little more unusual! In 1972 when in the Seychelles, she was given two tortoises, while in the same year the President of Cameroon gave her a seven-year-old bull elephant called Jumbo. 52. 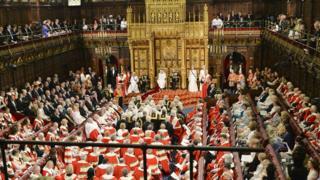 Another of her important duties is opening Parliament each year. However, there were two years when she was unable to do this - 1959 and 1963 - as she was expecting her children, Prince Andrew and Prince Edward. 53. She also thinks that voluntary work is important and currently has links with more than 600 charities and organisations. These groups work towards lots of different goals, such as helping young people and protecting the environment and wildlife, causes that are important to the Queen. 54. Speaking at the Cenotaph war memorial in 2014, she said: "The true measure of all our actions is how long the good in them lasts... Everything we do, we do for the young.". 55. Every year on Christmas Day, the Queen addresses the nation in a special message shown on TV. 56. 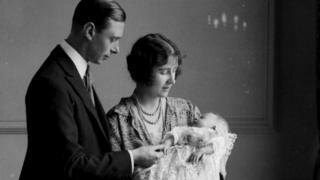 The first Christmas message was delivered by her father King George V in 1932. Now, it has become an important part of Christmas for millions of people all across the Commonwealth. 57. The Queen has broadcast a Christmas message every single year of her reign - except for one. 58. There wasn't a TV message in 1969 because of a documentary had already been planned to go out. She had to issue a written statement instead that year! 59. The Christmas message used to be a live broadcast. But since 1960, it has been recorded in advance so that tapes could be sent around the world to the other Commonwealth countries. That means they're able to show the message on TVs countries at a more convenient time. 60. In 2012, the Christmas message was broadcast in 3D. 61. The Queen remains one of the most famous people in the world. 62. During her record-breaking reign, there have been 13 British prime ministers. 63. In an average year, she receives about 60,000 pieces of correspondence. Can you imagine receiving that much post?! 64. According to the Royal Family's official website: "The Queen is shown almost all of her correspondence on a daily basis by one of her private secretaries, and she takes a keen interest in the letters she receives.". 65. The Queen spends a lot of time at her desk reading through the huge amount of paperwork that the monarch has to deal with. 66. During the week, she lives at Buckingham Palace in London with her husband, which is also her office. 67. She goes to Windsor Castle in Berkshire most weekends, as it is said that this is where she calls home. 68. Royal expert Christopher Warwick explains: "It was a place that was very much home to the Queen and to her sister for a very long time [during the war] and that cemented the emotions and attachment that she has to a place she loves dearly." 69. In 1992, there was a terrible fire at the castle. The Queen paid a large amount of the repair bill (almost £40m), which shows how much the place means to her. 70. She spends her summers at Balmoral Castle in Aberdeenshire and at Christmas she goes to her Sandringham Estate in Norfolk. 71. In Scotland, her official residence is Holyroodhouse in Edinburgh. 72. 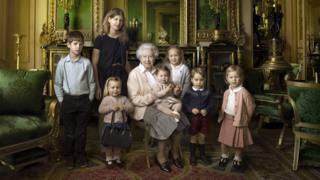 Family is extremely important to the Queen. As well as having four of her own children, she now has eight grandchildren and six great-grandchildren - the youngest of whom is Prince Louis of Cambridge, who was born in April 2018. 73. She also has 30 godchildren. 74. In 2007, the Queen and the Duke of Edinburgh became the first couple in the royal family to celebrate their Diamond Wedding anniversary (60 years of marriage). 75. 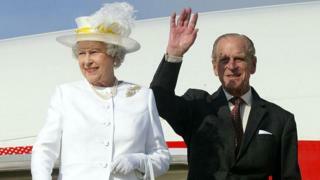 The Queen gave a speech about her husband, saying: "He has, quite simply, been my strength and stay all these years.". 76. While the Duke of Edinburgh has now officially stepped back from his royal duties, the Queen still makes public appearances as the nation's sovereign, although she does not have as many engagements as she used to and she has stopped travelling very long distances. 77. Other members of the royal family help with these public engagements. 78. Next week, the Queen will carry out her first royal engagement with her grandson Prince Harry's new wife and the latest addition to the royal family, Meghan Markle, the Duchess of Sussex. 79. The Queen is about 5ft 4ins tall. 80. She is a descendant of the House of Saxe-Coburg and Gotha, which was renamed the House of Windsor during World War One. 81. The place where Elizabeth was born in London is actually now a Chinese restaurant! We wonder if she ever pops back there for a bite? 82. 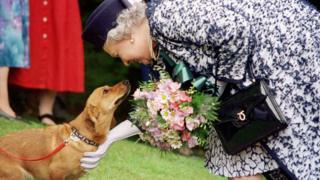 Many people know that the Queen's favourite dogs are corgis. She has owned more than 30 during her reign. 83. Her first Corgi was called Susan and she was given to her as a present on her 18th birthday back in 1944. 84. As for other animals, the Queen officially owns all the whales and dolphins in the waters around the UK. 85. She does not, however, own all of the nation's swans, which a lot of people believe. 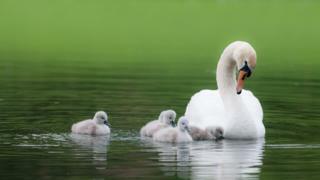 Queen Elizabeth only owns a particular type of swan, called a mute swan, on certain parts of the River Thames. 86. The Queen is a big fan of Scottish country dancing. Each year when she goes to Balmoral, she holds special balls for neighbours, estate and castle staff, and members of the local community. 87. The first football match that she attended was the 1953 FA Cup Final, when Blackpool beat Bolton Wanderers 4-3. The ball used during this game was actually sold earlier this year in an auction for £5,250! 88. There are 237 streets named after Elizabeth, but just 153 named Victoria. 89. It's not just here in the UK that the Queen's portrait appears on money. She holds a world record for appearing on currency in at least 35 different countries. That's more than any other living monarch! Even some countries where she isn't Queen any more have kept her face on their cash. 90. The Queen is also known for her love of innovation and technology. She sent her first email way back in 1976 from a computer at a British Army base - long before most people had even got near a computer! 91. 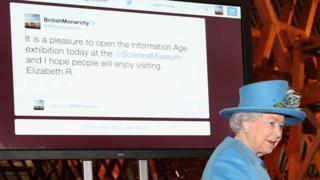 In 2014, she sent her first tweet during a visit to an exhibition at the Science Museum, sent from the @BritishMonarchy account. It said: "It is a pleasure to open the Information Age exhibition today at the @ScienceMuseum and I hope people will enjoy visiting. Elizabeth R."
Here is the Queen alongside the first tweet she ever sent! 92. She has even featured in a James Bond stunt. Well, sort of! A stunt saw 'the Queen' (a stunt double) parachute in to the Opening Ceremony of the London 2012 Olympic Games, before the real Queen took her seat in the stadium! Why is it called Trooping the Colour?